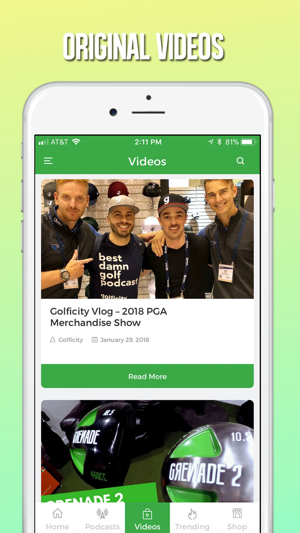 Now you can get all of your Golficity content in one place! The Golficity App provides you with access to the latest Golficity articles, podcasts, videos and more. 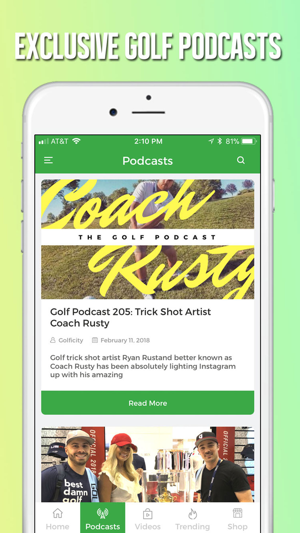 Receive exclusive notifications when new Golficity podcasts and videos are available and download, listen, and watch directly from the app. Follow the latest trending golf news stories and submit your own comments. 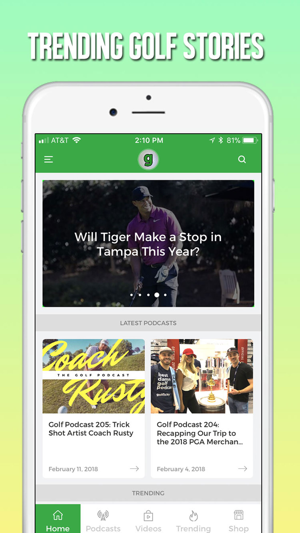 • Golficity podcast and exclusive video notifications. • Golf and fitness instructional articles from top instructors. • Trending golf news and opinion content. • Plus a whole lot more. Their podcast is already one of my favorites however I rarely visit their site for articles. I don’t go on my computer at home after using one l day at work but I’d be lying if I said I wasn’t using my phone before bed. 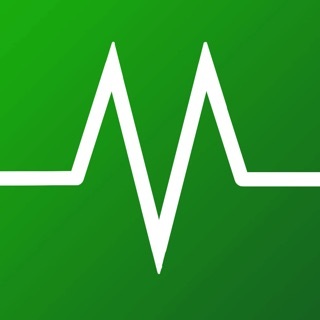 This app is a one stop shop for articles, videos, news and some other visual treats as well. 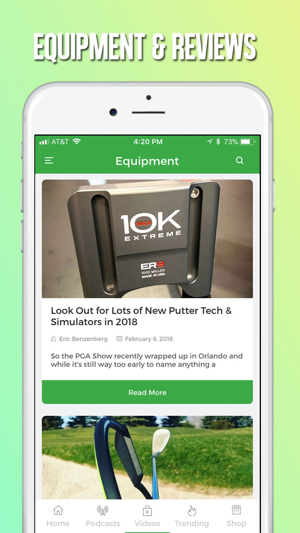 Between the podcast , the Facebook group and now the app Golficity is a must for the average everyday golfer. Love these guys! Awesome app. Highly recommend if you love golf.